Use it on exposed metal surfaces, including engine compartments, landing gear, rotor head, grip areas, antenna mounts, cannon plugs, electrical connections, shafts, blades and any other surface subject to the effects of corrosion. 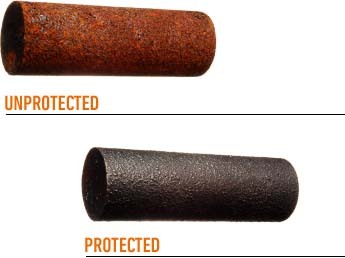 Provides excellent protection against galvanic corrosion. Conforms to DEF STAN 68/10. Clear Soft Film: The active ingredients in XCP form a clear flexiable file that resists cracking. Used regularly applied areas will become easier to clean due to the soft layer of XCP active ingredients on the surface of the applied area. Easy application: can be wiped, sprayed, brushed or used for dipping. The powerful XCP formula will provide a durable soft coating finish that will provide outstanding corrosion and rust prevention.